Although diabetes is a chronic disease, careful management by a primary care physician like Dr. Sree Gogineni can make a big difference in overall health and help prevent complications. 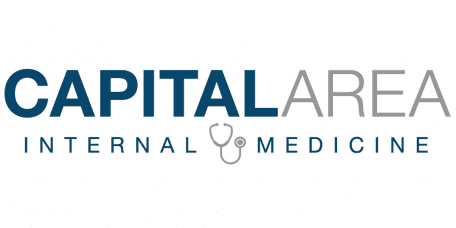 A family medicine practice, Capital Area Internal Medicine serves patients in the Washington D.C./Metro area. Call or request an appointment online with a qualified primary care physician who can help you manage your diabetes and prevent complications before they arise. Diabetes is a chronic disease that occurs when the blood sugar gets too high. A hormone (insulin) secreted by the pancreas is key to blood sugar regulation. Type 1 diabetes is sometimes called juvenile diabetes because it tends to appear in childhood or adolescence; the body stops producing insulin and the patient requires insulin shots to survive. Type 2 diabetes is typically a disease of middle age. The body still produces insulin, but the cells become resistant to its effects. Gestational diabetes occurs in pregnancy and is similar to type 2 diabetes. The most common risk factor for all three types of diabetes is a family history of the disease. The exact cause of type 1 diabetes is unknown, but viral infections may be a factor, and low vitamin D levels or early feeding of cow's milk have been implicated. Increasing age, being overweight and being inactive increase the risk of type 2 diabetes. Blacks, Hispanics, American Indians and Asian-Americans have an increased risk of diabetes compared to whites. Women who are overweight during the pregnancy or who are older than 25 when they become pregnant have a higher risk of gestational diabetes. Because the blood sugar levels affect every cell in the body, diabetes complications can occur in any organ. High blood sugar levels can cause heart disease, high blood pressure, and kidney failure. In fact, diabetes is the most common cause of kidney failure in the US. Nerve damage (diabetic neuropathy) can cause numbness that results in pressure sores or ulcers. Damage to the eyes (diabetic retinopathy) may eventually result in blindness. How does a family medicine doctor treat diabetes? All three types of diabetes are treated with dietary modifications. People with type 1 diabetes require insulin since their bodies don't produce the hormone. Weight loss and exercise can sometimes correct mild type 2 diabetes, but medications to control blood sugar may also be used. Treatment of gestational diabetes may include either oral medications or insulin, depending on the severity of the condition. Call Capital Area Internal Medicine or schedule an appointment online with a qualified primary care physician to explore your diabetes treatment options.